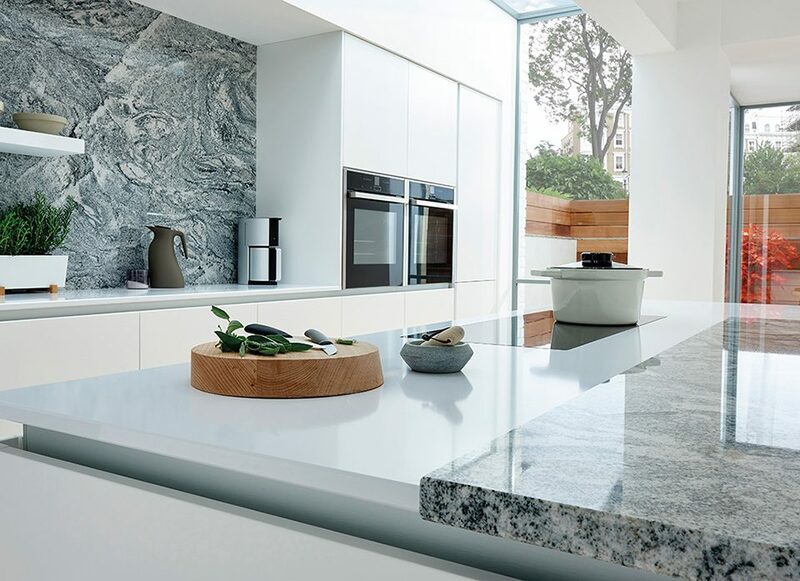 If you are thinking of choosing the right worktop surface for your kitchen, Corian worktops are fast becoming one of the most popular and well known of all of solid surfaces on the market. People usually associate the Corian® brand from DuPont™ with a high-quality product with an expensive price tag. Nevertheless, the functionality and visual appeal of this worktop make the price more value for money than pricey. Unlike other surfaces, Corian worktops have a solid core as opposed to a chipboard core. They are formed entirely from an acrylic resin combined with natural minerals. This provides almost limitless design flexibility, as Corian can be fabricated in just about any shape you require. Your worktop can be shaped with a smooth finish and joints with corners or splashbacks appear seamless to the eye. You have a wide variety of colour choice to suit your style. Corian is available in a wide range of different colours and patterns, so you will definitely find something that works for you. Corian isn’t however just about the aesthetics and stunning looks. The solid surface offers excellent performance and is extremely durable. It stands up well to daily wear and tear and resists most of the impacts, nicks and cuts that occur in every-day use. Corian is non-porous which helps to keep it hygienic. Dirt and bacteria can’t penetrate into the counter and there are no joints to act as germ and grime traps. The nature of the material means that most damage to the surface can be overcome. 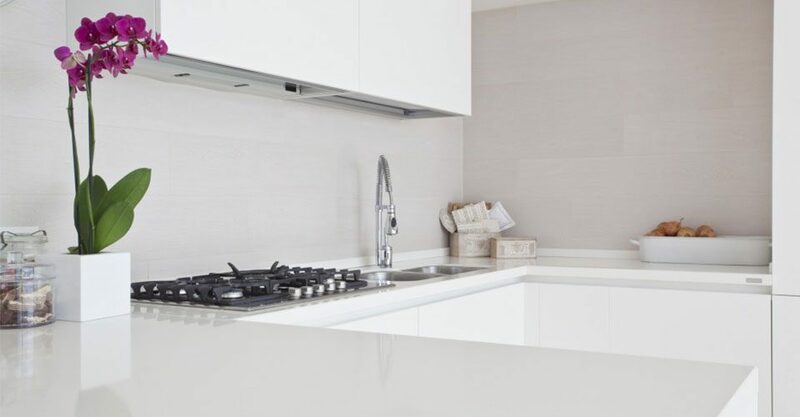 Minor scratches and marks can be removed with everyday cleaning products and areas of the worktop with more major damage can usually be renewed by our professionals on site. If you would like to know more about our Corian worktops, please contact us.